Prospan has extended their family to include new Kids Prospan so that you can look after your family through the coming months. 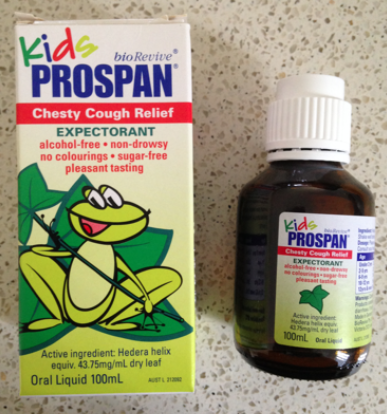 Kids Prospan Cough Relief’s active ingredient ‘hedera helix’ (ivy leaf extract) is clinically tested* to relieve chesty coughs and mucus congestion. Kids Prospan has a non-drowsy formula free from sugar, gluten, alcohol and colourings and it is a suitable family cough syrup (please refer to your Pharmacist for under 2 years of age). 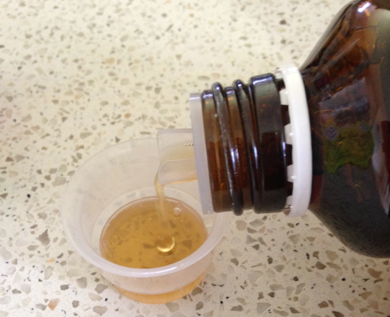 Unlike many other cough medicines, Kids Prospan is easy to swallow because it has a sweet, natural honey-like flavour. All the child medicines are something completely new to me - yes I dealt with medicines when I was working in childcare but Kids Prospan wasn't something that was out back then. BioRevive were spot on with there timing once again when Kids Prospan arrived at NJT HQ as Niah was ill at the time but I wanted to wait until we had trialled this a second time to post up a review. For Niah when we first used Kids Prospan she was completely fine with taking it and wouldn't kick up a fuss trying to turn her head and keep her lips sealed. I would bring out the Kids Prospan and she would drink it like it was water. The second time around just recently when she was sick we tried this again and on some occasions she wouldn't want a bar of the Kids Prospan and it would be a fight to get her to take her medicine. I gave the Kids Prospan a taste to see if maybe it was the flavour that was off-putting as I know Niah hates the taste of panadol and trying to get her to take that is just another level of lips being sealed and a huge battle to get it down but I couldn't describe a taste of the Kids Prospan as there is pretty much no flavour to it at all. The only thing I could describe was that it was a thick warm consistency that might have been the problem for her. We received the Kids Prospan in a 100ml bottle which comes with the little cup to take the medicine in but as Niah is still little we measured out the dosage into the provided cup and then put it into a syringe squirter for her to easily take. There is a Infant Prospan Drops with a dropper that is available in 20ml but it's better value for monkey on the pocket to just purchase the Kids Prospan in 100ml and just use an existing syringe in the house. 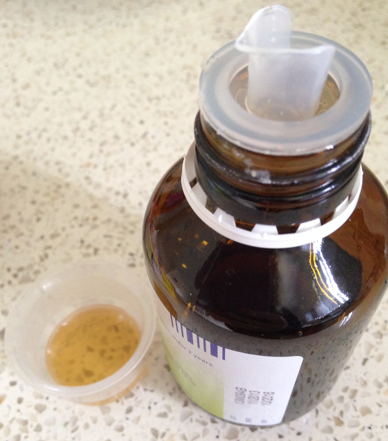 What I really liked with the Kids Prospan is the little pouring aid they have on their bottle of medicine for an easier flowing pour. I have always had a pet hate for the medicine bottles as you are trying to carefully measure out the dosage needed and then bam it splurts out an extra 10mls you didn't need. When using Kids Prospan I did notice a little change within Niah's coughing. It wasn't completely gone but she wasn't getting herself into coughing fits and it didn't sound as chesty of a cough to us. For more info visit: www.prospan.com.au or call BioRevive 1300 790 978. My daughter kept us up all night with the worst chesty cough.. I'm definitely going to give this a go! Would love to know how you went/go Symone. It's always terrible when our little darlings are sick.